Freddie is engaged to marry the daughter of a wealthy American who is a passionate collector of ancient Egyptian relics. When one treasure goes missing and a thousand-pound reward is offered for its return, Blandings becomes a madhouse as friends turn rivals in the scramble to retrieve the object. Right ho, Jeeves: listen to more from P. G. Wodehouse. 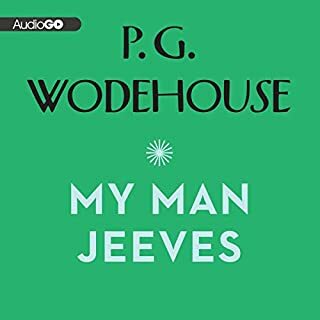 As a long-time Wodehouse fan, I've read many of his books, watched most episodes of Jeeves & Wooster, and listened to a whole lot of the radio dramas and audiobooks. And this particular audiobook isn't one of the best. 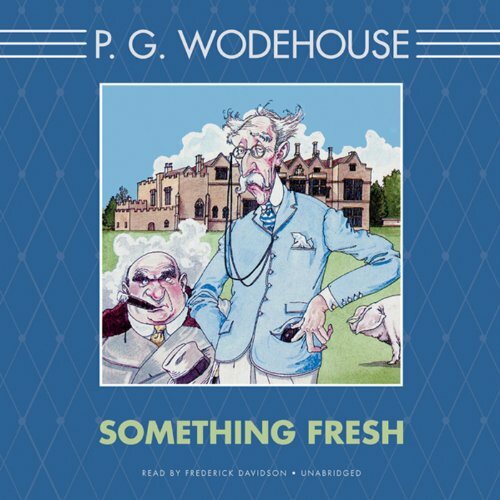 <i>Something Fresh</i> isn't a bad novel - though with less laugh-a-minute potential than some of the other Blandings-series stories - but Frederick Davidson's very affected vocal style isn't really suited to longer novels like this, with so many different characters. It's fine when he uses a very effete, almost effeminate voice for Bertie Wooster (who doesn't appear here), but he doesn't have a whole lot of range. All the men under 30 sound like fruity idiots; all the women sound like airheads (quite literally); all the older men sound uniformly gruff; and the various American accents are neither accurate nor consistent. More problematically - and again, I realize this is sometimes a matter of personal taste - Davidson seems to miss jokes all the time. Most of Wodehouse's hilarity lies in knowing just how to say a line like "Percy's always been a bit of a nut - I say, what?" for maximum effect, and Davidson doesn't seem to have the knack. 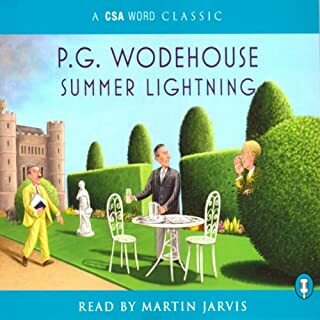 Overall, if you're thinking of an audio version of <i>Something Fresh</i>, I recommend going with the Jonathan Cecil version instead of this one - Cecil just seems better at interpreting Wodehouse on a consistent basis. 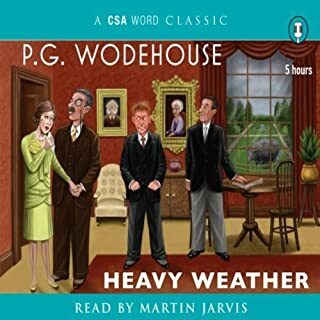 Such a pleasure to listen to, Wodehouse is the only writer I've found who's as funny as Mark Twain, and Frederick Davidson (aka David Case) is the best comic narrator ever. I was concerned after reading the first reviews complaining of the narrator but I don't share their views. I wish he had narrated all these books. 'The Inimitable Jeeves' is also a classic read by the same guy. 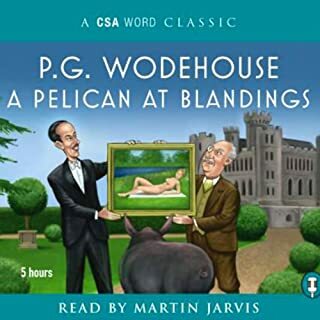 I bought this because I have only recently discovered Wodehouse's 'Blandings saga' and wanted to listen to them all. I can't tell much about the quality of the book itself because the audio version is so painful to listen to. You get to hear every gasp for breath, and Davidson doesn't seem to understand Wodehouse - or to be enjoying himself. I wish I had read the other reviewer's advice - instead of buying this version, look for another reader! I’d purchased this one years ago from another audiobook company which will remain nameless. But when it popped up in Audible’s First-In-A-Series Sale, I caved—all for the sheer pleasure of being able to play it through our Echo for the whole family to revel in. Also, I am a confessed and unrepentant Wodehouse addict, and this is simply one of his most addictive doses. As he matured, as his Blandings Castle, Jeeves and Wooster, and Mr. Mulliner series (to name but three) developed, his style became glibber, less “realistic” (but no less enjoyable). There was simply no need to delineate, say, the inner workings of Butler Beach or Lord Emsworth, whose psychologies had been delineated decades earlier. That’s probably why I enjoy these first drafts of beloved characters so much; we get more inner thoughts and feelings, deeper motivations and some really fine observations of human nature. And, of course, the delight of his budding trademark style. It goes without saying that Frederick Davidson was—and remains—one of the finest readers of Wodehouse. What some perceive as a stand-offishness or even contempt in his reading is really the sound of someone getting the last ounce of juice out of every nuance--sometimes bringing more humor to a line than you or I might notice on the page. 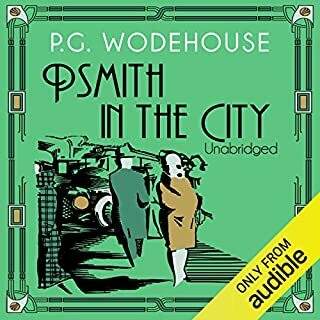 I pine for the day his renditions of "Psmith in the City", "Psmith, Journalist", “Leave It to Psmith”, “Cocktail Time”, "Jeeves in the Morning", "Heavy Weather", "Stiff Upper Lip, Jeeves", "The Cat-Nappers" and, “Do Butlers Burgle Banks?” will become available on Audible (hint, hint). The story concerns the residents of Blandings Castle, pre-Empress, with (as usual) imposters visiting in order to steal something. The Earl, though absent minded and none-too-bright, is not the anti-social idiot we've come to know and love. His sister Ann is serving as chatelaine, and unlike his other sisters, is of an extremely retiring nature, seldom leaving her room and her voluminous correspondence. Baxter is there, determined to get to the bottom of things, as well as assorted pairs of mismatched lovers. It will surprise no one to learn that, as always, skulduggery and love triumph at Blandings. Would you try another book from P. G. Wodehouse and/or Frederick Davidson? The story is slow to start with uninteresting dialogue. Quite unlike Wodehouse's usual fast, snappy starts. Also, regrettably, Davidson reads this slow start with a bored, disinterest that makes paying attention almost impossible. I love Wodehouse usually, but I'd return this one pronto if I could. His reading has a disinterested, supercilious air that, coupled with a slow plot, makes the book a yawner. Not really. I wish it had because I love Wodehouse usually. Fredrick Davidson and P. G. Wodehouse: perfect! This is a great pairing between the book and the reader. Davidson is also great reading LeCarre. Recording is poorly edited, with loud breathing left in-between sections of narration. Otherwise, performance and story are good fun. This was a great introduction to the Blandings world of P.G. Wodehouse. Looking forward to more. 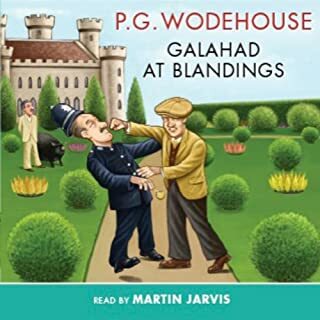 This is the first book about the now legendary Blandings Castle, and introduces such characters as Lord Emsworth, Hon Freddie Threepwood, The Efficient Baxter, and Beech the Butler. It's not as mind-bogglingly complex as some of PG Wodehouse's plots but it has all the tongue-twisting rich language that he is known for. This more gentle love-story based plot is still witty and interesting, and includes some early women's lib ideas. This version includes an introduction written by Wodehouse, which includes some interesting titbits. Frederick Davidson gives his usual excellent reading. His languid tones seem made for Wodehouse's words. All in all, an excellent version of an excellent book. This is is the first in the Blandings Saga and a great place to start (although not completely necessary to do in chronological order). The narration is good and the story that was published 100 years ago is both funny and cracking in pace. A most enjoyable listen.